Helen Cammock, ‘Untitled 1’ from the series ‘Shouting in Whispers’, 2017. 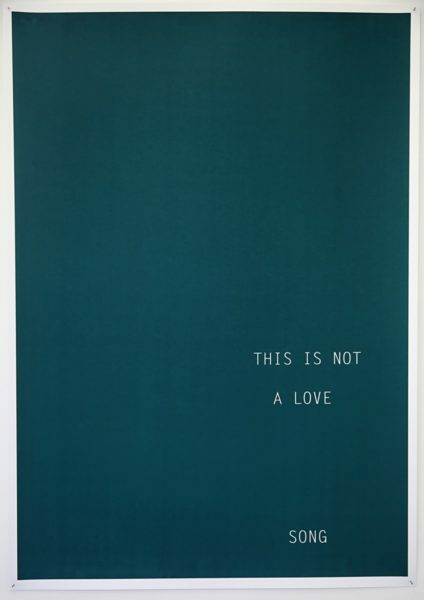 Hand-pulled screenprint, edition 2 of 3. 102 x 72cm. Helen Cammock, ‘Untitled 2’ from the series ‘Shouting in Whispers’, 2017. Hand-pulled screenprint, edition 2 of 3. 102 x 72cm. Helen Cammock, ‘Untitled 3’ from the series ‘Shouting in Whispers’, 2017. Hand-pulled screenprint, edition 2 of 3. 102 x 72cm. Helen Cammock, ‘Untitled 5’ from the series ‘Shouting in Whispers’, 2017. Hand-pulled screenprint, edition 2 of 3. 102 x 72cm. Helen Cammock, ‘Untitled A’ from the series ‘Slide Re-enactment’, 2017. Hand-pulled screenprint, edition 2 of 3. 100 x 70cm. Helen Cammock, ‘Untitled B’ from the series ‘Slide Re-enactment’, 2017. Hand-pulled screenprint, edition 2 of 3. 100 x 70cm. Helen Cammock, ‘Untitled C’ from the series ‘Slide Re-enactment’, 2017. Hand-pulled screenprint, edition 2 of 3. 100 x 70cm. Before becoming an artist, Helen Cammock worked as a social worker. This grounded her research-focused approach to creating art, where she reflects upon existing inequality and misrepresentation, as well as the more personal experiences of being of both English and Jamaican descent. Using found sources from previous experiences as stimuli, Cammock collages the material into fascinating works that raises questions about the hierarchical nature of the histories we are taught and highlights lesser known stories. 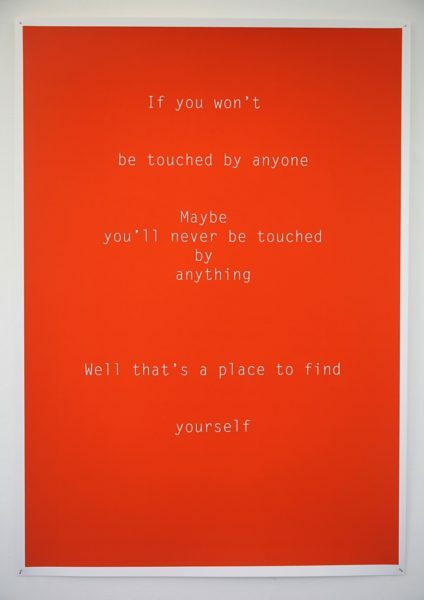 Shouting in Whispers is a group of five large screen-prints made up of striking surfaces made up of hand-mixed colour, interplayed with unassuming but powerful text. These take the form of quoted conversations with friends, as well as questions or statements verbatim from activists and philosophers both contemporary and historical. 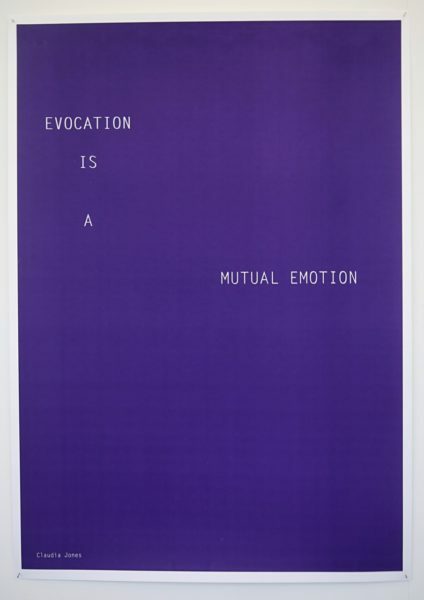 Slide Re-enactment consists of a trio of pale screen-prints which quietly deliver a heavy message through a muted aesthetic. 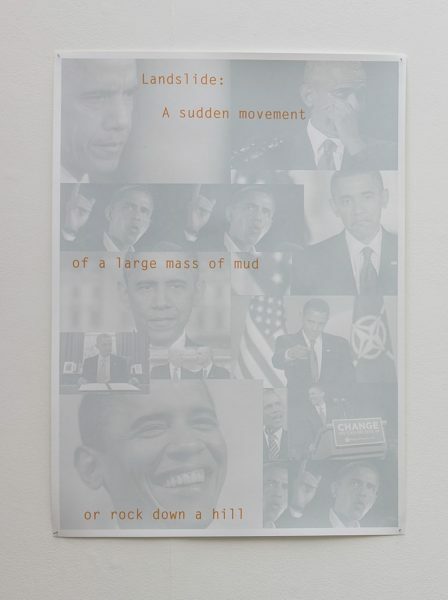 The prints are a collage of found images depicting prolific political figures which creates a dialogue with the viewer. 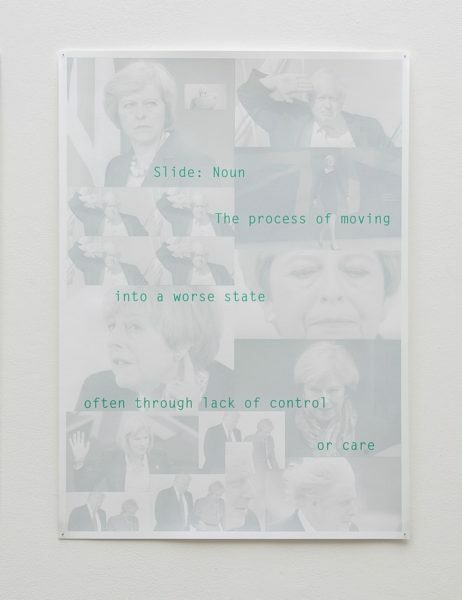 These are not only about politics, but on identity and gender — a print of Barack Obama is placed besides one of Theresa May. 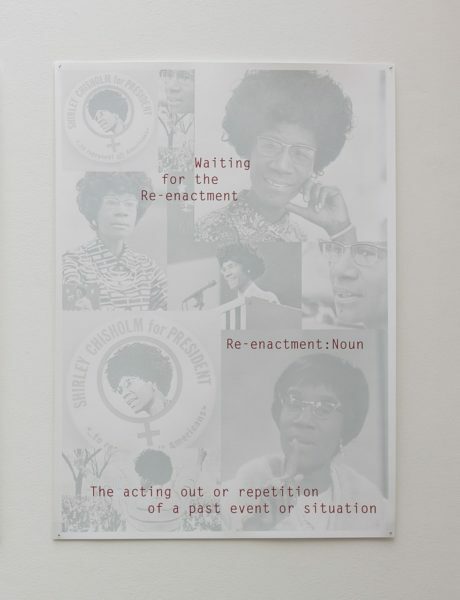 The two contemporary leaders are then placed in tandem with a print of Shirley Chisholm, the ground-breaking activist who was both the first Woman and African-American to run for a major presidential nomination in 1972. 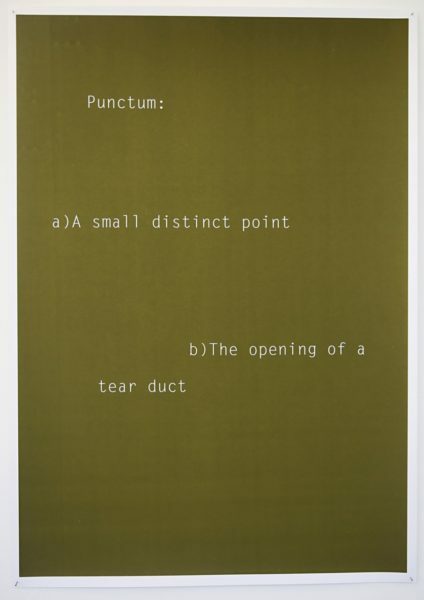 By adding the enigmatic dictionary definitions, the ostensibly political posters become visions of poetry, hinting at the power of speech, and the transmission of knowledge. Reading Museum has re-joined the Contemporary Art Society with the support of Reading Foundation for Art. This is at a time when the town is changing rapidly and the museum is actively collecting art that reflects the concerns and interests of its increasingly diverse population.